Sand Inn Hotel is located in the central Hua Hin town in the middle of what the tourists want: good restaurants of all tastes – local and foreign foods, night market and shops, and evening and night entertainment spots. The Hotel is only five minutes walk from Hua Hin sea beach. We are small size, consisting of 21 rooms in the four storey building, family run, clean and friendly hotel in the town. We provide clean rooms, travel and tour services around Hun Hin and to the islands at sea. Staying in one of our ensuite guestroom you can enjoy our facilities: High speed Internet connection, Bar with pool table, Thai traditional massage. Or you can relax at our swimming pool. All our guestrooms are fitted with ensuite bathroom, hot and cold shower, color television, safe storage box, refrigerator and mini bar. Some rooms have veranda, some are with town view, and others having sea view over the roofs of the town. Deluxe rooms at the top floor come with a spacious common outdoor court yard with sitting facilities. 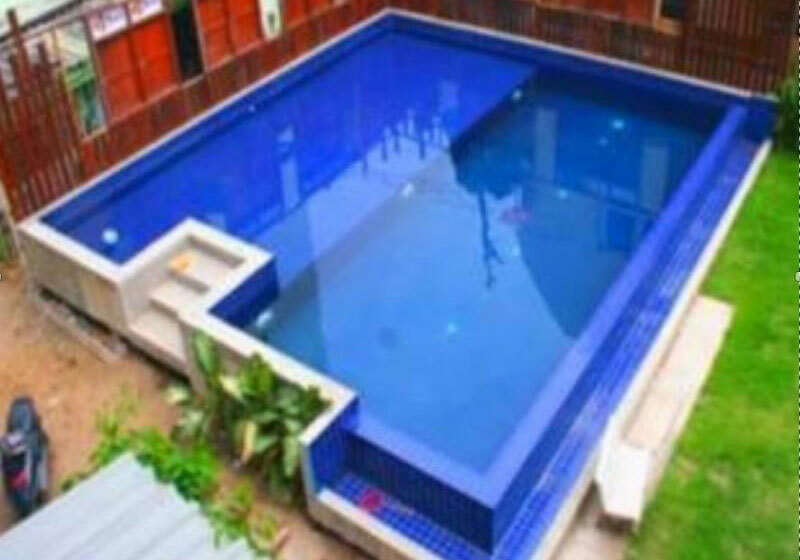 Short Description: Sand Inn Hotel is located in the central Hua Hin town in the middle of what the tourists want: good restaurants of all tastes - local and foreign foods, night market and shops, and evening and night entertainment spots.